Union Home Ministry sources revealed on Saturday, one of the prime accused in the October 2014 Khagragarh blast in Burdwan, Talha Sheikh, was arrested from Bogra in Bangladesh by security forces there on Friday night. It is revealed Sheikh who originally hails from Bangladesh had set up base in Bengal to programme and train local youths before the accidental blast in Khagragarh blew the lid off the racket and prompted him to escape to his home country. Shiekh, in his thirties was then in the Jamat-ul-Mujahideen Bangladesh, as second in command to its leader and alleged explosives expert Hathkata Nasirullah. Nasirullah later left the outfit and formed the Neo-JMB, which Sheikh also joined. 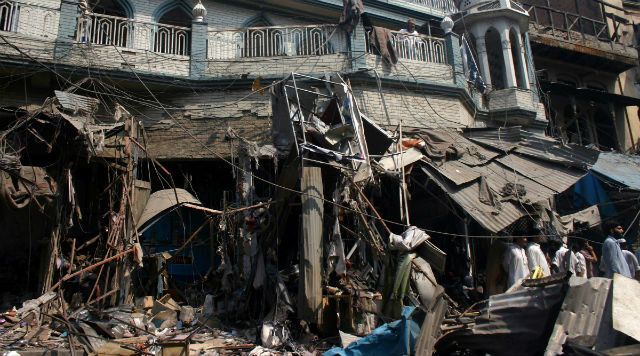 A Calcutta court had declared Sheikh a proclaimed offender and the National Investigation Agency (NIA), which is probing the Khagragarh blast, had announced a Rs 10-lakh reward for information leading to his arrest. The Home Ministry sources further said the NIA will soon get in touch with its counterparts in Bangladesh for Sheikh repatriation. Sheikh used to frequent between Kirnahar in Birbhum and Debagram in Nadia, giving bomb-making lessons to recruits from Burdwan, Birbhum and Nadia. The bombs made in Bengal were smuggled across the border for use in destabilizing the Sheikh Hasina government in Bangladesh. The NIA also claim Sheikh had procured a plot of land at Shantipally near Santiniketan and intended to build a colony that would operate as a ‘sleeper cell’. He would encourage young men to start families and join the colony as the presence of women and children would provide a shield to the thriving terror module and present no reason for suspicion.